The recount of Virginia’s extremely close Attorney General race began yesterday, with teams in a handful of jurisdictions beginning the process of retabulating ballots from the November 5 election. You can expect this process to get lots of coverage. 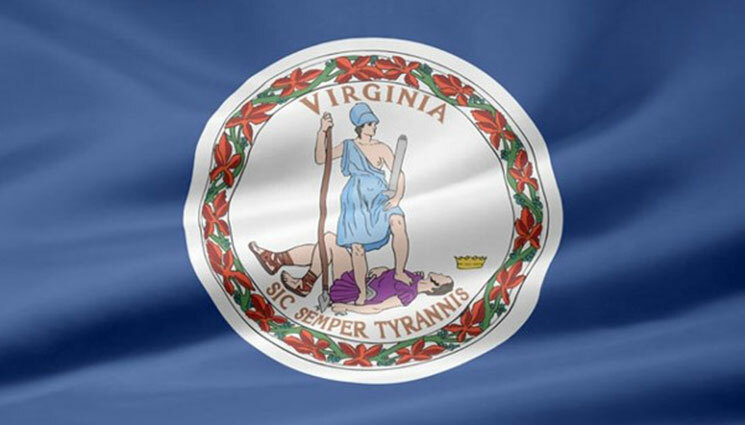 Much of it will involve political issues, like what united Democratic control of statewide offices could mean for Virginia or how the inevitable special election to replace whichever state senator Mark (Democrat Herring or Republican Obenshain) wins the election will tip the balance in the legislature. But occasionally, you’ll get a peek behind the scenes as election workers and volunteers carry out a re-run of a statewide election. “This thing is historic; we’ve never done anything like this before,” Seth Stark, chairman of the Fairfax County elections board, said while 40 teams of two volunteers and an observer from each campaign settled in to recount about 306,000 votes. Even so, the process was mundane, with the bulky black optical scan machines almost noiselessly sucking in each new ballot inserted before rattling out new vote counts for each precinct on ticker tapes. Sometimes, the ballots got stuck, prompting the volunteers to shake a machine back and forth or bang on its side like an old TV set. Officials paid special attention to ballots not read by the machines because voters did not completely fill in the circles next to their candidate’s name, circled the name instead, voted for more than one candidate or made some other mistake. “It’s a technical process,” one worker inside the Fairfax courthouse joked, over a steady hum of chatter. In such instances, the ballots were separated and, for the first time, examined and hand counted, Schoeneman said. Most of the changes in Monday’s tally came from such ballots, and the county estimates that about 5,500 in total would have to be pulled aside, he said. At least one ballot had “Mickey Mouse” as a write-in candidate [a perennial hopeful; maybe someday he’ll win – ed. ], while others bore check marks, half-filled circles or other problems that kept the optical scan machines from properly reading them, [Election Board Secretary Brian] Schoeneman said. In cases in which the machine could not read a ballot, the teams were required to examine the vote for “clear affirmative intent,” where it seemed obvious which candidate was chosen, officials said. Ballots on which a voter wrote in a candidate’s name instead of filling in the designated circle were tossed out, officials said, citing state election codes. Any ballots in dispute were set aside and delivered by state police to the panel of judges in Richmond, which will convene Wednesday to begin reviewing those challenges and hearing disputes between the two parties. For example, he said, in the county’s Cameron Glen precinct, officials learned that the sign-in sheet on election night had 13 more voters than votes counted. Herring gained eight of those votes and Obenshain gained five, according to a running tally posted on a dry erase board just outside the Jury Assembly Room, where most the recounting was being done. “I would expect there’s going to be one or two more [such cases] here and there,” Schoeneman said. You can expect similar nuggets inside the political news over the next few days; while I don’t expect election officials are enjoying the extra work and attention at the holidays, it is a fascinating look at the minutiae of election administration. Thanks to everyone in the Old Dominion who’s devoting their time to the recount – and to the members of the media who go behind the results to give the public a look at how it’s actually done. Be the first to comment on "A Look Inside as Virginia’s Recount Begins"